summary/synopsis (from dust cover): Meet the Keller family, five generations of firstborn women—an unbroken line of daughters—living together in the same house on a secluded olive grove in the Sacramento Valley of Northern California. Anna, the family matriarch, is 112 and determined to become the oldest person in the world. An indomitable force, strong in mind and firm in body, she rules Hill House, the family home she shares with her daughter Bets, granddaughter Callie, great-granddaughter Deb, and great-great-granddaughter Erin. Though they lead ordinary lives, there is an element of the extraordinary to these women: the eldest two are defying longevity norms. Their unusual lifespans have caught the attention of a geneticist who believes they hold the key to breakthroughs that will revolutionize the aging process for everyone. But Anna is not interested in unlocking secrets the Keller blood holds. She believes there are some truths that must stay hidden, including certain knowledge about her origins that she has carried for more than a century. Like Anna, each of the Keller women conceals her true self from the others. While they are bound by blood and the house they share, living together has not always been easy. And it is about to become more complicated now that Erin, the youngest, is back, alone and pregnant, after two years abroad with an opera company. Her return and the arrival of the geneticist who has come to study the Keller family ignites explosive emotions that these women have kept buried and uncovers revelations that will shake them all to their roots. 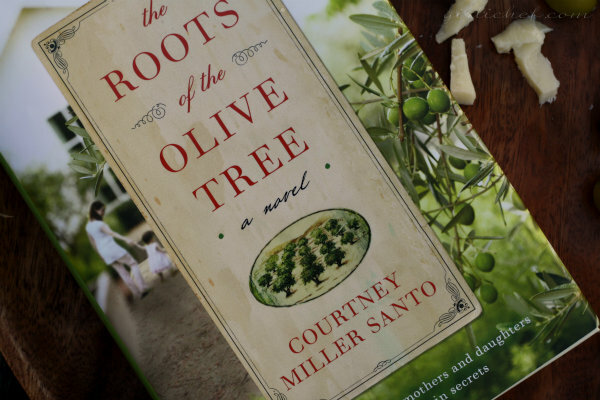 Told from varying viewpoints, Courtney Miller Santo’s compelling and evocative debut novel captures the joys and sorrows of family—the love, secrets, disappointments, jealousies, and forgiveness that tie generations to one another. my thoughts/review: I really enjoyed the believability of the family dynamic in this novel. So many times I've sugar-coated tales of fun-loving sisters and parents and children. The family in this book has flaws and they bicker and argue and sometimes they hate each other. That is not to say it's a big anger fest, the good stuff is included, too. I was just trying to support my claim. I also really enjoyed the family's history and back-story about bringing the first olive trees to California. The only thing I wished was that more had been done with the olives as far as food descriptions went. Overall, a quick and interesting read that held my attention. I would recommend this novel to those who enjoy general fiction and/or women's lit with a few bites of food thrown in. about the author: Courtney Miller Santo grasped the importance of stories from listening to her great-grandmother, who lives in Northern California. She learned to write stories in the journalism program at Washington and Lee University, and then discovered the limits of true stories working as a reporter in Virginia. 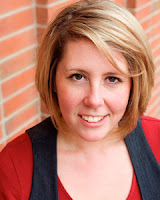 She teaches creative writing at the University of Memphis, where she earned her MFA. Her work has appeared or is forthcoming in The Los Angeles Review, Irreantum, Sunstone, and Segullah. She lives in Tennessee with her husband, two children, and dog. Her most prized possession is a photo of five generations of women in her family. recipe inspired by the book: Not so much a recipe this time as a snack. 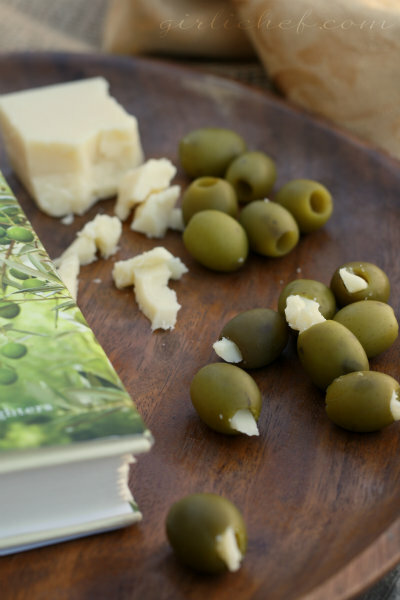 On page 138, Deborah is behind the tasting counter at the Pit Stop (Callie's store...which in case you couldn't guess sells olives and olive-paraphernalia). A simple line snuck into a conversation... "Doesn't mean it isn't true," he said, reaching for a parmesan-stuffed olive. From that point on, I couldn't get it out of my head. I've tried garlic-stuffed olives, almond-stuffed olives, blue cheese-stuffed olives, and of course olives stuffed with pimentos, but never stuffed with parm. I knew I wanted to use California olives, since that's where this family is now rooted, so I found some Lindsay Natural California Speckled Green Ripe Olives that were packed in water and sea salt (nothing else). 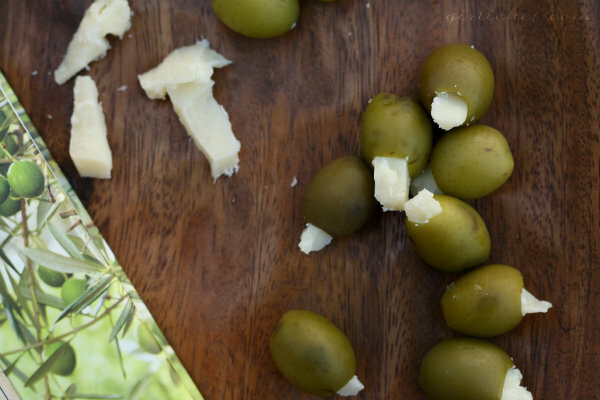 These olives are not like the green olives that most people are used to - not salty or tangy. Instead, they are nutty and butter and kissed with just a hint of salt. It's a surprise when you bit into them for the first time. When studded with a shard of salty Parmesan cheese, they make addictive little munchies. Why haven't I tried parm stuffed olives?? Genius..Now I want a dirty Martini! I have never had or thought of stuff olives with hard cheese. Beautiful! yummy late night snack... I could a handful now, LOL!! Beautiful post as always. Love the review you have done with this book. My favorite all-time is anchovy stuffed olives. You wouldn't ever guess anchovies, just that they are stuffed with something delicious. Unfortunately, they are hard to find. I think the parm would give a similiar flavor. I think I'll cover them in olive oil for a few days, maybe with some rosemary. And then you'd have the flavored oil for cooking or salad. OMG, I can't wait to go to the store. Thank you. And the book looks great too. After the store, I'm going to the library. For starters, I love your book review series. Now, this snack is fantastic! I love olives and adding the parm just takes it to a new level! Great review, this book sounds fascinating. Those olives look great, too, I don't think I've had them without the brine, etc. A nice pile of those, a glass of wine and a good book sounds like heaven! I love books about family dynamics since mine is so insane. These olives sound like the perfect finger food. Great recipe :) Love olives. Especially when you know exactly whats in them! Thanks for the review, Heather. I've heard of this book but haven't read it yet. Will check out in the library. Stuffed olives are a lovely snack. I'm not a green olive fan but that may be because of the kinds I've tried. 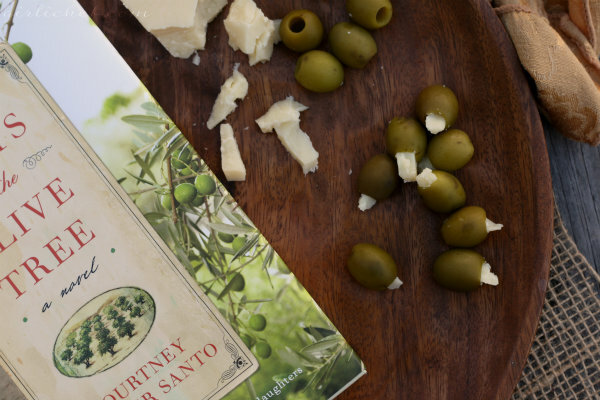 The olives you mention that have a nutty buttery flavor sound wonderful! Those look great. I've done some stuffed fried black olives but these are much easier than mine.